I've made some styles, using "create style" button. They are saving as an afdesign file and not a stdesign. How do I change this? 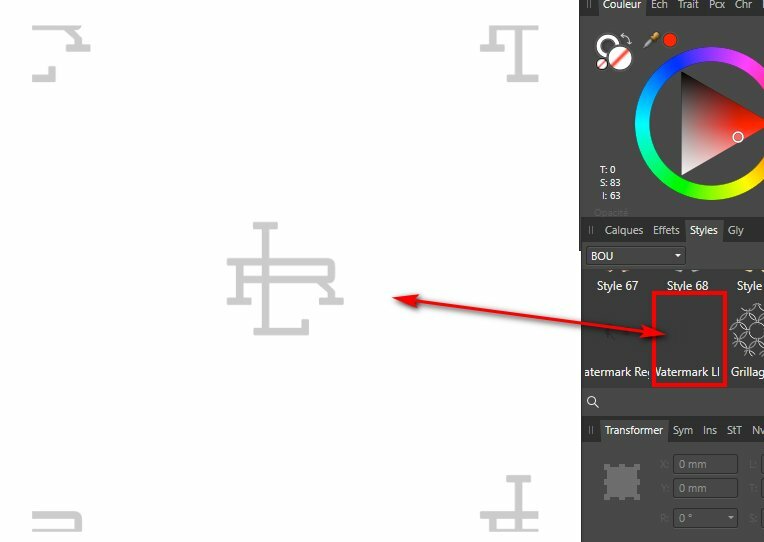 I've been opening objects from photoshop in psd format and selecting a style from there then try to save the object highlighted. It has saved two styles that are simple. It saved a couple styles that came up blank. And it didn't do anything for the other objects I opened. Is this a bug because I know I'm doing it correctly and I do see the pop up if the style is glitter. Do any of the boards on the screen move? Like the layer effects, swatches, brushes, etc.? Can they be separated? What is the difference between styles and text styles? Can I change the main transparency color to white or black, but it still continues to be a transparency? When I create an object, the line around the object is much bigger that the objects...how can I save it so the line is closer? Sorry for all the questions...I'm still learning and I've watched a bunch of videos, but I didn't find answers to these questions. Thank you! I can offer some answers, take them w. a grain of salt, I'm just a user. When a style is saved, it remains within the application. It can be exported as an .afstyles files using the "hamburger" menu in the styles studio panel. Exporting them is good if one needs to reset the app to factory defaults, and bring back ones styles. The design files are for any document, or object in a document. Photoshop has some layer style operations that are not implemented in Designer at this point. Look at Designer's layer FX options. if there are operations similar to those in Photoshop, the style might be translated. Also, note that Designer can only replicate features that are public, not proprietary to Photoshop. Some things created in Photoshop can only be used w. Photoshop. The various studio panels can be pulled away, and float in the work space. AFAIK, layer styles and text styles are not the same because text styles are aimed at standard modifications of text, such as bolding, or kerning. If the text is converted to curves, and becomes a plain geometric object, then layer styles are applicable. In Designer, transparency is indicated by a grey checkerboard, not a color. I don't use pixel mask much, but the level of transparency in them is adjusted by painting in black or white. Objects/layers/groups in Designer are surrounded by an implied bounding box. The object itself is the perimeter defined by the nodes, but all of those are referenced by the x/y rectangle that they fit in. Blank style icons may be because the style was applied to a perfectly straight horizontal or vertical line. From what i can tell, because such a line encloses no area, there is no way to depict any fill attribute for the style. For your last question, have you tried to apply styles that appear empty to an object? If these styles are saved, they certainly exist but their content may be too small or the color close to the background of the thumbnail. On my screenshot you can see a style that looks empty but does exist: it is applied to a square on the page. Transparency is indicated by the grey & while checkerboard pattern. It is not a color. It is the degree of opacity of objects of any color & varies from 100% opaque/0% transparent (completely visible) to 0% opaque/100% transparent (completely invisible). The more transparent an object is, the more of the checkerboard pattern or objects below it you will see showing through it. Transparency/opacity can be set in various ways depending on the object, like by changing the opacity of a vector fill or stroke, the opacity of a layer, or with the Erase Brush Tool (in Designer's Pixel Persona) on pixel layers. If you mean vector objects (like those drawn with the Pen Tool) or shape objects (like rectangles, stars, & cogs), you can set the width of its stroke to any value from 0 (no stroke) to as large as you want. This can be done using the Stroke Studio panel (& the Color Studio panel to control opacity), or using the similar options in the Context Toolbar when a suitable tool is enabled.